Toby says: “No more Downy Mildew problems! New Guinea types are not susceptible, and are equally at home in sun or shade, in containers or borders, bearing huge flowers, in vibrant colours, blooming in as little as 12 weeks from sowing and continuing right through to first frosts!” Height 30cm (12”). Flowers mid June-October. HHA - Half hardy annual. Mildew problem? 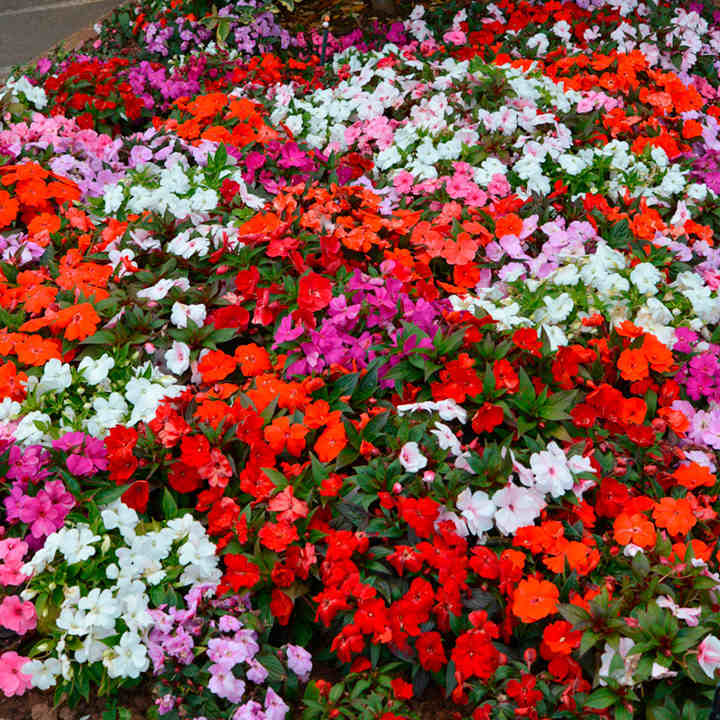 Try Impatiens Frolific! A much favoured bedding/container plant which has been troubled by Downy Mildew disease in the last few years. If you have not experienced this problem (causing the plants to rot and die) we suggest you continue to grow but ensure maximum hygiene and perhaps confine their use to pots and baskets to minimise risk of the disease. Previously affected? 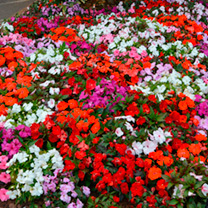 Why not try New Guinea Impatiens Florific, below! Sow February-April to flower July-September. Suggested planting distance 18-23cm (7-9”). Ideal for beds and borders, patio pots and containers, greenhouse. Grows well in sun or shade. Dead head to encourage re-flowering, feed regularly.